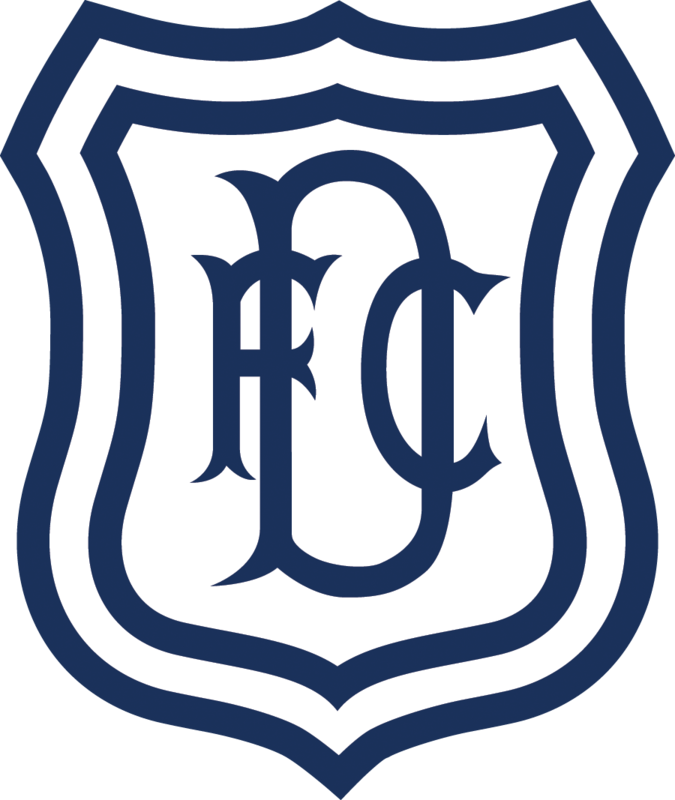 For the second game running injury time heartbreak cost Dundee a win as the Dark Blues drew 2-2 against in form Kilmarnock at the Kilmac Stadium at Dens Park. With the last kick of the ball Kenny Miller’s penalty was saved by Daniel Bachmann. Dundee had much the better of the first half but Kilmarnock domimated the second. The Dark Blues had taken the lead twice in the first half through great finishes by Andrew Nelson. Conor McAleny equalised the first time and Chris Burke pulled Killie level early in the second half. Dundee’s only change from Saturday was Andrew Nelson starting in the place of Ethan Robson. Killie brought in Kirk Broadfoot and Conor McAleny for Scott Boyd and Mikael Ndjoli. From the start the Dark Blues launched themselves into an energetic pressing game that gave Killie no peace. Andrew Nelson set the scene for what was to come when his pace allowed him to hunt down Kirk Broadfoot and rob him of the ball, but Stephen O’Donnell recovered quickly to cut out the danger. Dundee deservedly took the lead after eight minutes. Ryan McGowan’s long ball was nodded down by Craig Curran and NELSON controlled the ball before scoring with a low shot across Bachmann from 14 yards. The home crowd were warmed by some attractive and dangerous attacking play by the Dark Blues. Scott Wright was in great form, whether raiding down the left or cutting inside. Dundee’s fine start seemed to have come to a juddering halt when Killie pulled out a simple equaliser against the run of play. Kirk Broadfoot ventured forward and slipped a pass in behind Genseric Kusunga for Conor McALENY to run in and sweep his shot past Seny Dieng. The Dee came up with the perfect response to the setback and needed only two minutes to restore their lead. Andread Hadenius won a challenge on the half way line and the ball ricocheted forward. Andrew NELSON took maximum advantage, taking possession and rifling a superb low shot from 20 yards inside Bachmann’s left hand post. Kilmarnock were at their most dangerous from free kicks that Chris Burke delivered expertly into the goalmouth. One flew straight through and out of play with no-one getting a touch. Another found Gary Dicker unmarked beyond the far post, but his header was blocked. Jordan Jones also caused a moment of alarm with a good run and low cross that the Dee managed to scramble clear. Most of the attacking and threat came from the Dark Blues, however. Only a wonderful finger-tip save by Bachmann stopped Nelson completing his hat trick with a well directed header from Andy Dales cross. A wonderful run by Scott Wright opened up Kilmarnock’s defence, but a desperate tackle by Dicker knocked the ball away from Dales as he was about to shoot. Dundee were well worth their half time lead after an excellent first half performance. They continued in the same vein after the break causing Killie serious problems with their pressing and harrying in the away half. However, Kilmarnock dug themselves back into the game, again against the run of play, with a magnificently struck free kick by Chris Burke from 27 yards. The goal transformed the game, and Kilmarnock received a further boost by the arrivel from the bench of Youssouf Mulumbu their recent loan signing from Celtic. He added guile and composure to Killie’s midfield. Jim McIntyre responded by replacing Andrew Nelson with Darren O’Dea, who played a holding midfield role, keeping an eye on Mulumbu. Dundee couldn’t keep possession, and certainly couldn’t make the ball stick up front. Kenny Miller replaced Craig Curran, but the veteran striker was left isolated as Dundee were increasingly forced backwards. At first Kilmarnock’s main threat was from long range shots. Greg Taylor wasn’t far off target from 25 yards, and Dieng saved well Dicker’s effort from a similar range. Soon Killie were forcing their way deeper into the Dee penalty area and only frantic goalmouth defending kept them at bay. Ryan McGowan cleared a McAleny shot that got past Dieng, and only a minute later Dieng and Nathan Ralph were both needed on the goalline to scramble away substitute Liam Millar’s shot. The fourth official signalled four minutes of injury time and Kilmarnock threw everything at Dundee to try and force the winner. The Dark Blues escaped in another heart-stopping goalline scramble, and Scott Wright almost managed to send Kenny Miller clear on the break. Killie failed to heed the warning and in time added on at the end of the four minutes Andy Dales broke and succeeded in giving Miller the chance to run clear. Instead of shooting early Miller checked inside Bachmann who brought him down for a clear penalty. Referee Kevin Clancy decided that Bachmann had made an honest attempt to win the ball and allowed him to stay on the park. Miller went for placement rather than power and the Killie keeper guessed right to save. It was Dundee’s third penalty of the season, and none have been scored. That was the last kick of the match and both teams were left frustrated at getting only a single point. The Dees felt the bigger disappointment after that late penalty miss. The last half hour was uncomfortable for Dundee after they ran out of steam and Kilmarnock took over. Up till then they had played some exciting and highly effective football, and could have been more than one goal ahead. Unused subs: Parish (gk), Kerr, O’Sullivan, Moore. Booked: Ryan McGowan (foul on Jones), Horsfield (timewasting). Unused subs: MacKay (gk), Bruce, McKenzie, Scott Boyd. Goals: McAleny (17), Burke (53). Booked: Tshibola (handball), Dicker (foul on Craig Curran). Attendance: 4,694 (480 away fans). Referee: Kevin Clancy. Assistants: Sean Carr, David Doig. Fourth Official: Mike Roncone.